Child of Maria Louise Victoire Conroy and Sir Wyndham Edward Hanmer, 4th Bt. 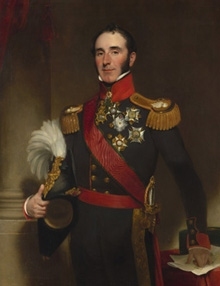 He gained the title of 1st Baronet Conroy. Child of Sir John Conroy, 1st Bt. [S4529] Belinda Evans, "re: Evans Family," e-mail message to Darryl Roger LUNDY (101053), 14 March 2010. Hereinafter cited as "re: Evans Family." From before 1860, her married name became Strogan.1 From 25 April 1860, her married name became Rowley.